Key Difference: The Samsung Galaxy S2 was launched in April 2011 and was one of the slimmest smartphones at that time. The phone offered additional feature, software updates, expanded hardware and a redesigned physique than the original S. Galaxy S2 sports a 4.3 inch Super AMOLED Plus capacitive screen that offers 480 x 800 pixels. The Galaxy S3 is a slate-format multi-touch smartphone that was launched in May 2012. It is the successor of Galaxy S2 and Galaxy S but abandons the rectangular design of the predecessors and opts for more rounded corners making it resemble the Galaxy Nexus. The S3 sports a 4.8 HD Super AMOLED screen with corning gorilla glass 2. Everyone has different needs when it comes to anything. If only one object existed for all kinds of market it would result in that object to be a failure. People require that they be able to choose what they want and be able to customize it according to their own needs. Hence, technology is such as dynamic sector. It constantly changes according what people want and what is the latest technology that is available in the market. Smartphones have become an important and private thing. Almost everyone’s live is on a small 4-5 inch phone that was once used to only make phone calls. Now, it allows users to chat, check e-mail, work on reports, projects, edit and read documents, listen to music, watch videos, etc. Samsung Group is a South Korean chaebol, the largest in South Korea. A chaebol is basically a conglomerate. Samsung Electronics has become one of the key competitors in the smartphone market due to innovative technologies. 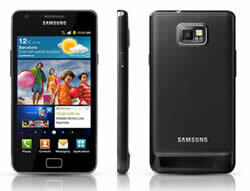 Samsung S2 and Samsung S3 are two smartphones that have been launched by Samsung. They are the successors to the company’s flagship phone Galaxy S. The Samsung S2 made waves in the smartphone market and the S3 has continued the success. The Samsung Galaxy S2 was launched in April 2011 and was one of the slimmest smartphones at that time. The phone offered additional feature, software updates, expanded hardware and a redesigned physique than the original S. Galaxy S2 sports a 4.3 inch Super AMOLED Plus capacitive screen that offers 480 x 800 pixels. The screen is protected by Corning Gorilla Glass that makes it scratch proof. It also only weight about 116g at that making it a very light weight phone. The Samsung S2 was originally offered with Android v v2.3.4 (Ginger Bread) and is now available with v4.0.4 (Ice Cream Sandwich) and is upgradeable to v4.1 (Jelly Bean). 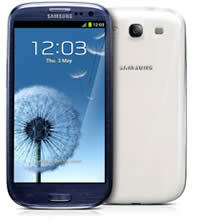 The Galaxy S2 has a 1.2 GHz dual core ARM Cortex-A9 processor that uses Samsung's own 'Exynos 4210' System on a chip (SoC). It also offers the TouchWiz 4.0 user interface, with hardware updates compared to the TouchWiz 3.0. The phone is available with 16 and 32 GB of internal storage with additional external storage up to 32 GB. S2 supports an 8MP rear camera and a 2MP front camera. The rear camera can record videos in full high-definition 1080p at 30 frames per second. The S2 also includes innovative features such as ‘motion’ an optional gesture-based interaction technology that allows users to use two fingers and tilting the phone towards or away from the person to zoom in and out, respectively. It also supports Voice Recognition, Google Voice Translation, Lost Phone Management and Swype typing feature. The phone also has the ability to support USB-on –the-go, which allows users to connect USB flash drives (with own power source) to the phone. The Galaxy S3 is a slate-format multi-touch smartphone that was launched in May 2012. It is the successor of Galaxy S2 and Galaxy S but abandons the rectangular design of the predecessors and opts for more rounded corners making it resemble the Galaxy Nexus. The S3 sports a 4.8 HD Super AMOLED screen with corning gorilla glass 2. It is offered with Android v4.0.4 (Ice Cream Sandwich) and can be upgraded to 4.1.2 (Jelly Bean). The Galaxy S III has a polycarbonate plastic chassis and is available in a variety of different colors. The S3 supports a 1.4 GHz Cortex-A9 Quad-core processor, Mali-400MP GPU and 1 GB RAM. The S3 is available with 16 or 32 GB internal storage capacity, which can be expanded up to an additional 64 GB. The phone boasts an 8 megapixel Auto Focus camera with flash, zero shutter lag and BSI. It also supports a 1.9 megapixel secondary camera that is capable of recording HD videos @30fps. When the phone was initially launched in May, the phone was considered to have been backed with innovative features and the TouchWiz "Nature UX" GUI was considered to be advanced. The GUI also included the “Water Lux” effect which can produce water ripples on contact. The phone also offered S Voice in response to Apple’s Siri, which enabled users to verbally control 20 functions on the phone. It was effectively considered as a iPhone killer. It also received additional publicity because of the ongoing patent infringement lawsuits against Apple. The S3 obviously trumps the S2 in terms of advanced features and technology, faster RAM, greater internal storage and better battery. Samsung has also upped the screen from 4.3 inches to 4.8 inches in the S3. The S3 is also considered to have a better touch and feel to it compared to the S2. However, the S2 is still doing pretty decent in terms of sales since it offers the right amount of features with the right price for many people. The information for the detailed table about the two phones has been taken from the Samsung website and GSMArena.com. WiFi a/b/g/n, WiFi HT40, GPS/GLONASS, NFC, Bluetooth® 4.0(LE), microUSB v2.0, USB On-the-go, wireless charging. GPRS, EDGE, WLAN, Bluetooth, NFC and USB. Bluetooth 4.0 with A2DP, EDR. 8 megapixel Auto Focus camera with Flash & Zero Shutter Lag, BSI. [email protected], zero shutter lag. Simultaneous HD video and image recording, geo-tagging, touch focus, face and smile detection, image stabilization. Burst shot & Best photo, Recording snapshot, HDR. Audio Codec: MP3, AMR-NB/WB, AAC/AAC＋/eAAC＋, WMA, OGG, FLAC, AC-3, apt-X. Video Codec: MPEG4, H.264, H.263, DivX, DivX3.11, VC-1, VP8, WMV7/8, Sorenson Spark Recording & Playback: Full HD (1080p).